Chelle's Creative Expressions............: NEW! Country Heat and Shakeology Challenge Pack — On Sale Now. IT'S HERE !!! IT'S HERE !!! IT'S HERE !!! ARE YOU READY TO TURN UP THE HEAT ?!?! COUNTRY HEAT .... Will IGNITE Your Fitness Journey ! The Moves... The Music... The CARDIO! This workout will most definitely get your body movin' and groovin' - and the best part? It feels like your having... dare we say ? ..... (FUN!!) ... The motions are super simple.. The music is from some of the Hottest Songs around.... You are going to LOVE this workout!! What it IS : Shaping, toning, and tightening your entire body takes the right combination of fitness and nutrition. 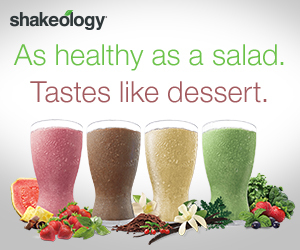 And with the Country Heat and Shakeology Challenge Pack, you'll get a high-energy, low-impact, country dance-inspired workout that's fun, simple, and designed to help you melt off the weight, along with Shakeology, the ultra-premium nutritional shake that can help you stay healthy and reach your fitness goals even faster. You can even start streaming Country Heat workouts because your Challenge Pack includes 30 days of FREE access to Beachbody® On Demand! Your first 30-day supply of Shakeology—the superfood supplement shake with dense nutrition to help support weight loss, healthy energy levels, and reduced cravings—delivered on Home Direct. 30-Day Calendar putting all the workouts in just the right order to keep you moving and motivated! And the Country Heat Eating Plan to help you achieve your weight-loss goals. A FREE 30-Day Trial Membership to the Team Beachbody® Club, so you can start streaming Country Heat workouts on Beachbody On Demand, and hundreds of other proven Beachbody workouts, plus find all the support you need to succeed in your challenge. WHERE can you get it: COUNTRY HEAT- GET IT WHILE IT'S HOT YA'LL !! CLICK the link above for ALL the HOT details regarding this AWESOME PACKAGE!! Grab a friend - OR TWO - OR THREE- Shucks! Grab a whole mess of friends who are wanting to get fit and healthy - and get together to make it THAT MUCH MORE FUN!! One of My FAVORITE Reef Videos - EVER!